I’m a huge fan of the Myers-Briggs Type Inventory (if you’ve never taken this good personality inventory, try it). I am an INFJ, which Keirsey.com calls a *Counselor*. Counselors, by God-given personality, read things. Books, for one. But mostly people, situations, organizations. INFJ’s read a situation and know at a gut level, what’s going to happen next. They tend to intuit people’s abilities and intentions, too (which makes us good therapists). For an INFJ, the bifurcation is: being right but being ignored and feeling devastated by the outcome. Ok, so what the heck does that have to do with walking on water, one might ask? 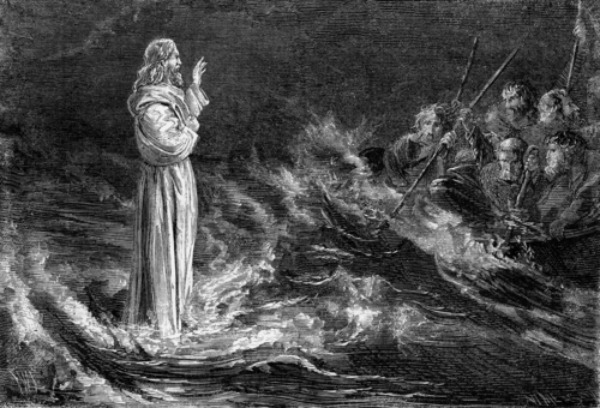 I was practicing my Lectio Divina today on Mark 6- the Jesus walking on water story. I asked myself: I wonder what was each of the disciples’ MBTI? All true and useful observations. AH! and then the moment of discernment. There are often 2 true but incongruent realities (if you want more on that, read Lewis’ Till We Have Faces). The earthly, tangible realm is full of storms. The spirit realm is more real, though, and it is full of walking on waters and going to Gennesarets. And whether my INFJ brain can comprehend it, the walking on waters and the going to Gennesarets are the points of it all- I don’t need to understand why.